So much of our time is spent in eastern Iowa, visiting towns like Dubuque, Decorah, Cedar Rapids, Davenport or Iowa City. 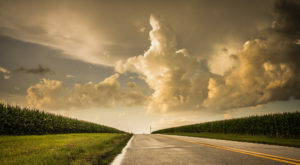 In fact, sometimes it seems like nobody is heading west! 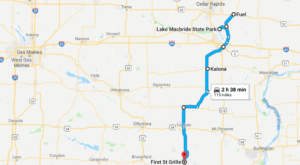 Well, anyone that doesn’t explore the western side of our state is truly missing out, because some of the best scenery in the entire country is right before the Iowa/Nebraska border. Time for a road trip! 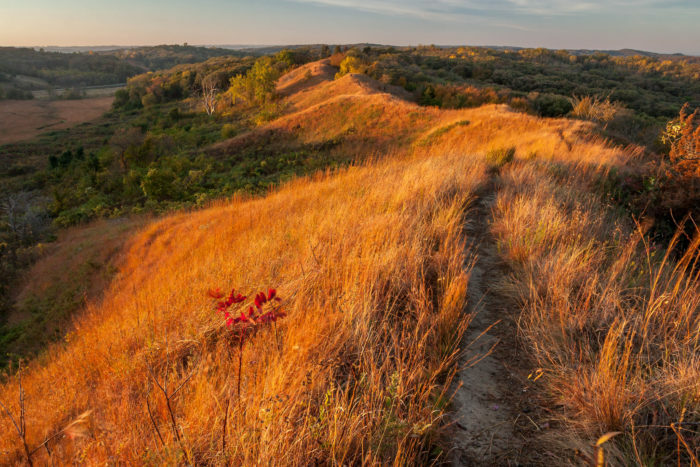 Put on your hiking boots and head west, becuse the stunning Loess Hills await! CLICK HERE for an interactive, customizable map! 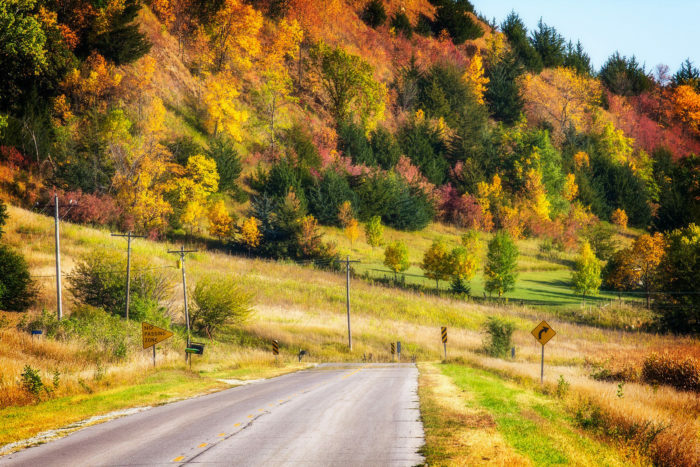 Western Iowa is rural and untamed in many sections, and you'll see a whole new side of the Hawkeye State on this trip. Start off at Mondo's Restaurant, in Shenandoah. 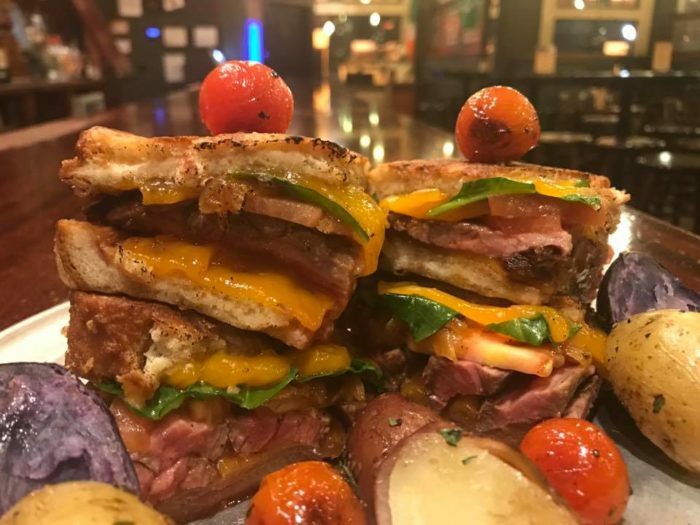 This homestyle restaurant serves up the best food! 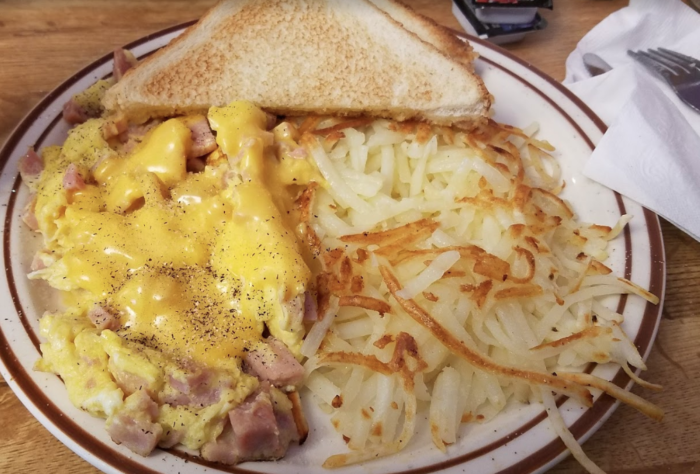 Here, you'll want to enjoy a big, hearty breakfast. You'll need the energy for your next few stops! Waubonsie State Park is next. 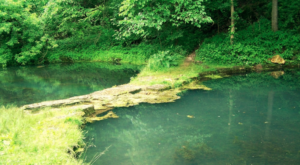 Hike the Overlook Trail for a short walk to a stunning vista, and then keep exploring. The Sunset Ridge trail is a favorite, and it's just a few miles long. 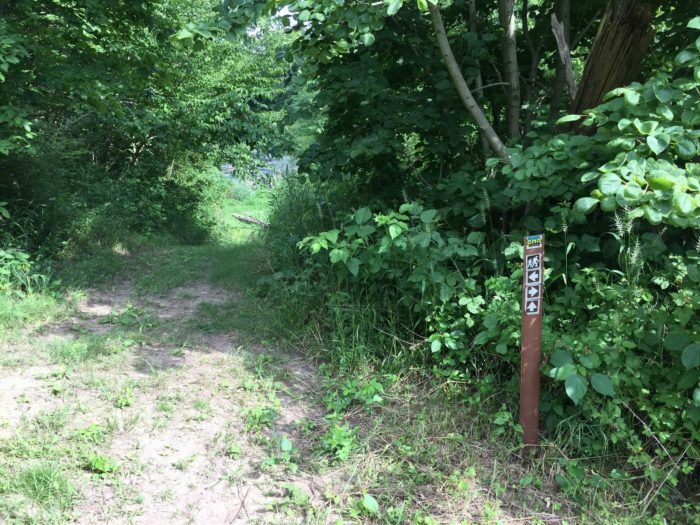 It's a loop trail, so you'll see new sights the whole way. When you've hiked the ridge, head back to the parking lot. 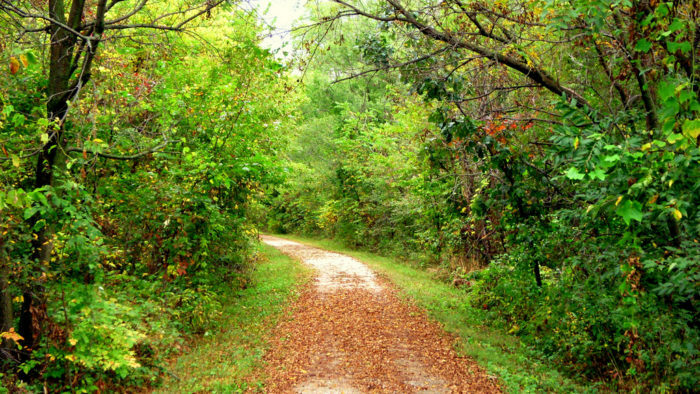 The Wabash Trace Nature Trail is Next! 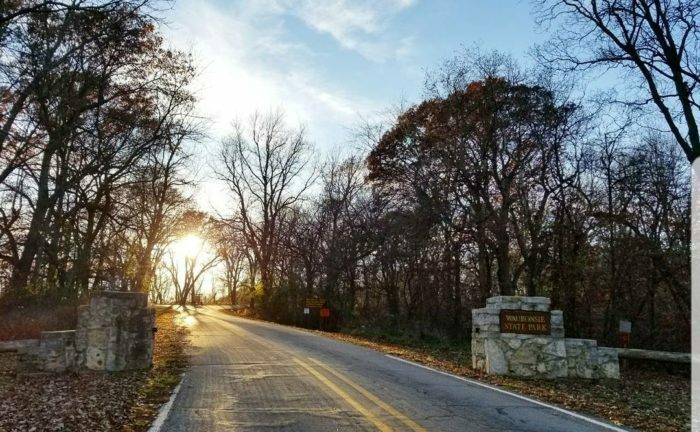 Spend as long as you want walking up this trail - it doesn't end until Council Bluffs! A shorter stroll here will show off some stunning natural beauty. 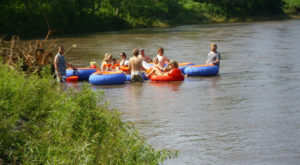 After a stroll along the Wabash Nature Trail, you'll want to relax a little. 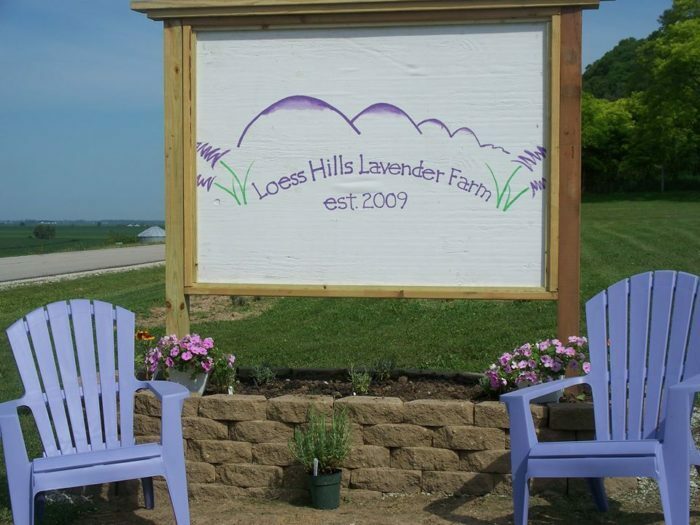 Head to the Loess Hills Lavender Farm for the perfect side trip! 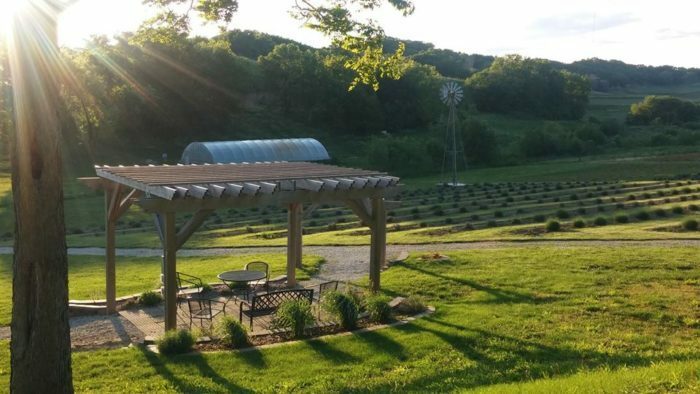 This beautiful lavender farm is a great place to relax and enjoy the smell of fresh lavender. Check out the farm's store, too, where you'll find handmade soaps and fragrances. 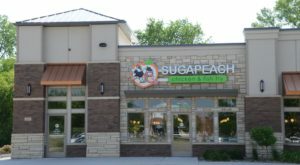 They’re open May through October, 11am to 5pm on Thursday, Friday and Saturday, as well as 1 to 5pm on Sundays. Call (712) 642-9016 to schedule a tour or learn more. 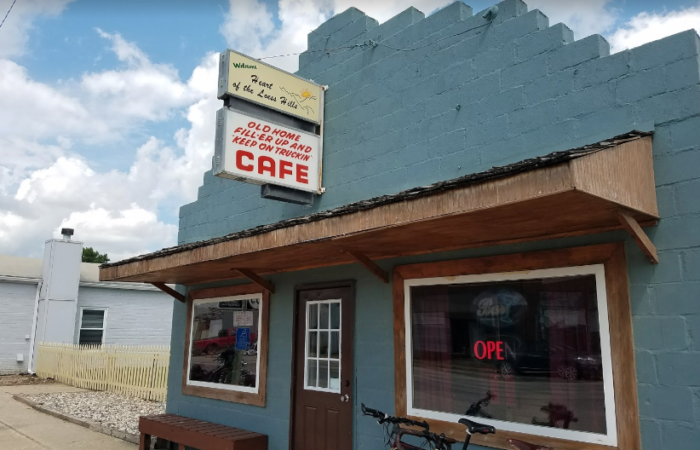 Dave's Old Home Cafe in Pisgah is next. 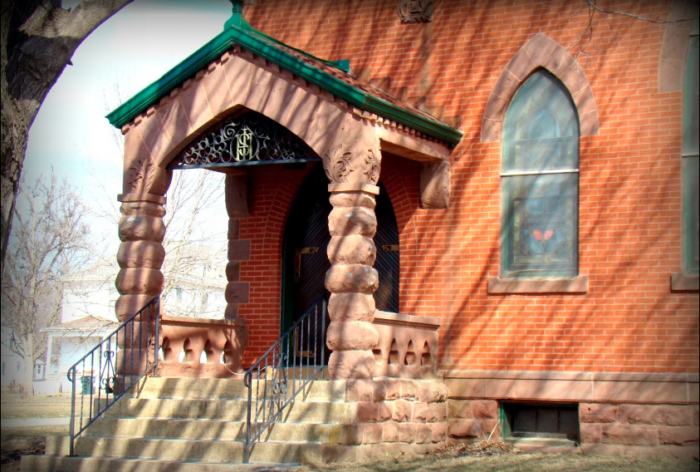 This historic building is at the heart of the Loess Hills! You'll find a home cooked meal waiting for you. 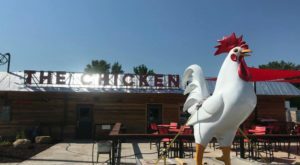 They're known for having a great tenderloin, some delicious fish and chips, and some of the best fried chicken you'll ever try. We might have saved the best hiking spot for last. Preparation Canyon State Park is absolutely breathtaking. 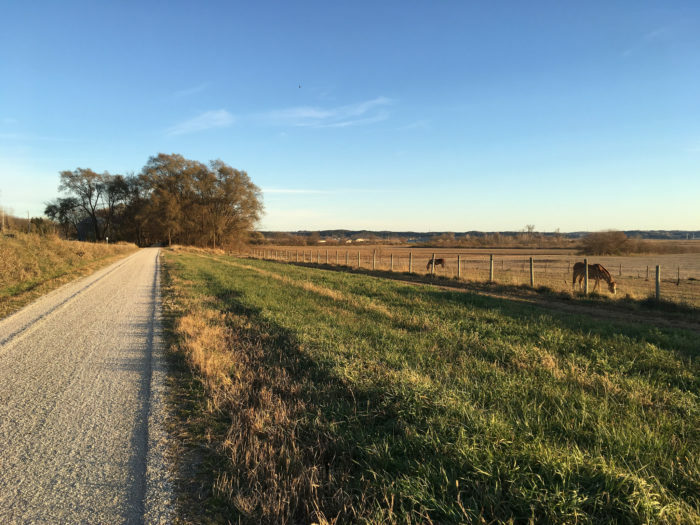 Miles of trails and overlooks take you through some of the most amazing scenery in the entire state of Iowa. You'll want to spend hours here. When you've finally had enough of Preparation Canyon (which may be never!) head north. The small, rural town of Mapleton awaits. Visit the town's charming, storied Museum of American History to see the story of the wild prairie. 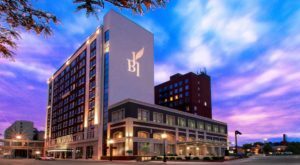 Tours are available anytime by appointment, by calling Keith Robinson at 712-881-1460. 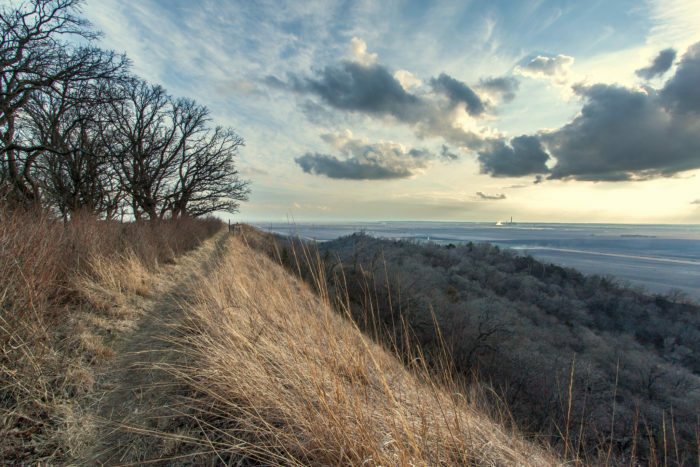 From Mapleton, take the scenic route along the Loess Hills Byway. This trip is gorgeous any time of year! 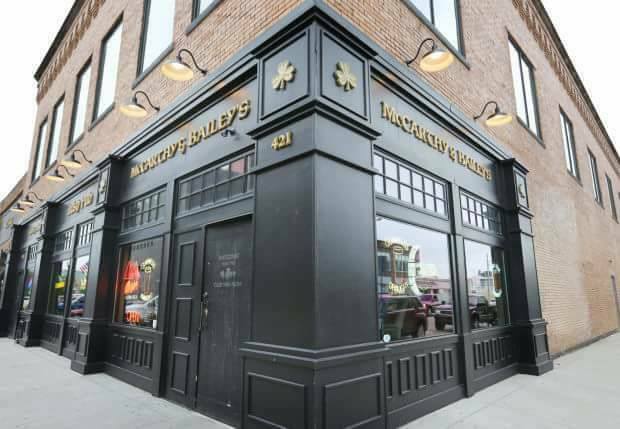 Finally, your trip ends in Sioux City, at McCarthy and Bailey's Irish Pub. 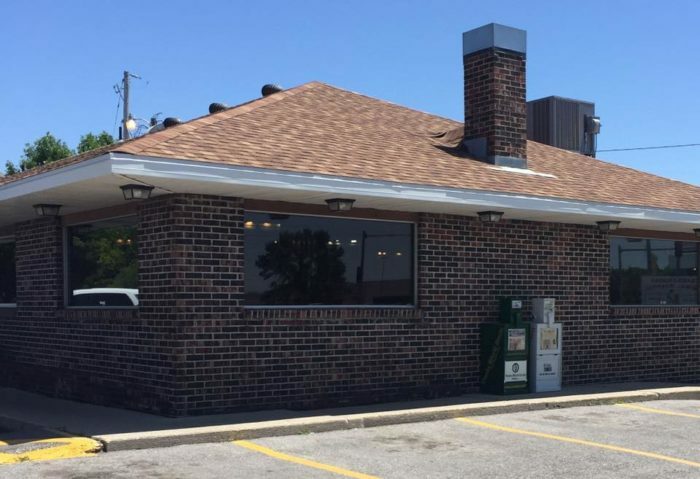 After a long day of hiking and exploring, you'll appreciate a big, hearty meal from this city landmark! 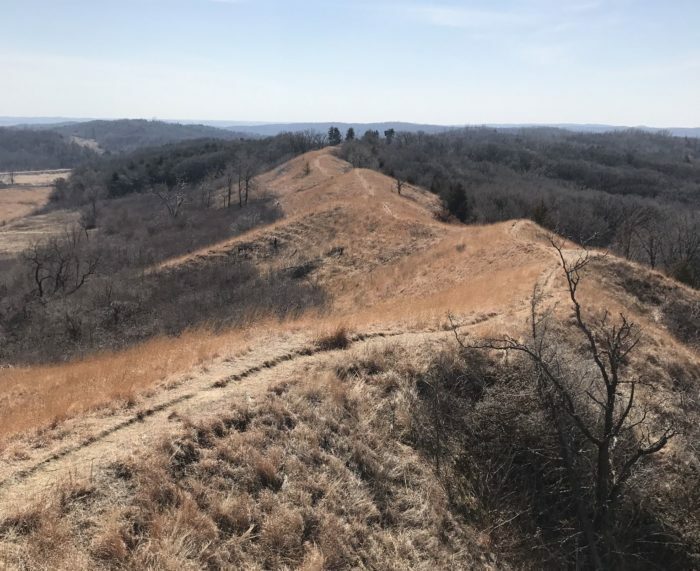 You can learn more about the Loess Hills themselves here, and about the trails through Waubonsie State Park right here. 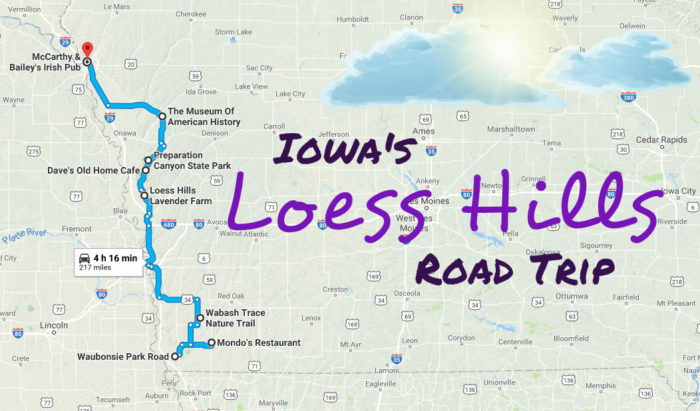 Start your planning now, because the Loess Hills are perfect to explore in the spring, when the flowers start to blossom and bloom.